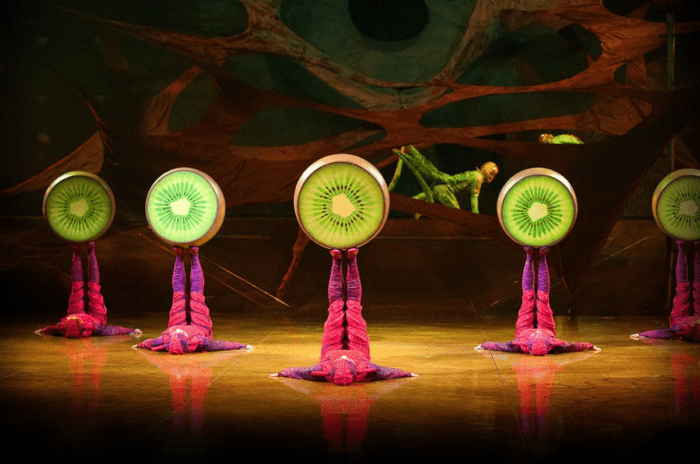 Guess what, Cirque du Soleil is now at Fairfax Eaglebank Arena (August 16-20) . If you do not live in the DC area, be sure to check out it's many other locatins. Their newest act, OVO is out and has some amazing reviews. I have to agree with these amazing reviews. Each act and performance was amazing and quite mesmerizing. Enter and discover a colorful ecosystem full of amazing ants, flexible fleas, crazy crickets and more! GET A DISCOUNT! You can grab your tickets now. Child tickets start at $25. Family-Pack also available. My readers can actually save $10 off select tickets to OVO. Use promo code OVO10 at checkout HERE. You can see a few of my photos form the performance! See the press release for the performances.